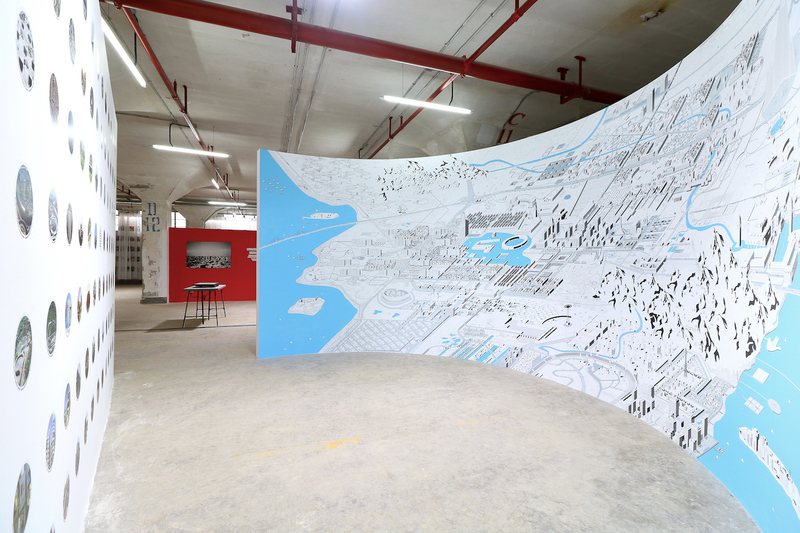 Visionary Cities Project / Alexander Eisenschmidt, Collective City exhibition at the 2015 Bi-City Biennale of Urbanism/Architecture in Shenzhen, China, December 4, 2015 – March 1, 2016. Collective City, explores spatial, organizational, and material ingenuities born out of the forces and pressures of the contemporary city, answered by the architectural amateur, and used by everyone. For more information, see Visionary Cities Project.